Capacity 50 Kg/hr. to 500 Kg/hr. There is different type of machine used to make dry ice in different shapes. SUPER CRYO, offer the dry Ice Machine to make the dry ice in the shapes of Blocks and Pallets. Capacity of Dry Ice Machine: 50 Kg to 500 Kg/hr. Liquid CO2 purity: 50 ppm of H2O Max. When dry ice is produced the conversion rate from liquid CO2 to dry ice is approx. 45-50%. This means 55-50 % of the total amount of liquid CO2 is lost or vented to the atmosphere. 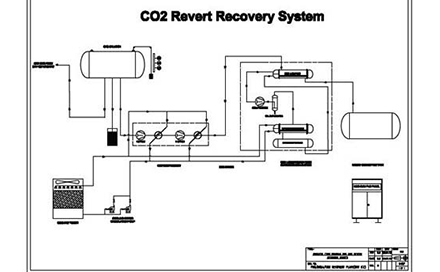 Therefore, CO2 Revert Recovery Systems for Dry Ice Machines offer the best ideal possibility to recover this normally lost CO2 gas. 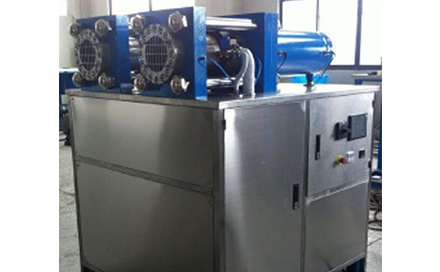 The vented CO2 gas from dry ice machine can be added at the inlet of CO2 Gas Compressor, if the client’s have own recovery plant and the plant equipment are capable to adjust the addition CO2 load. With the CO2 Revert Recovery System for Dry Ice Machines the efficiency of dry ice production leads to a final conversion rate of approx. 90-92 %. Delivery Time: 8-12 Weeks from the date of your confirmed order along with requisite advance payment.